Swimming pools are a great addition to any home, especially if you have kids! They provide hours and hours of outdoor entertainment during the hot summer months. But having a pool often means you have a lot of pool accessories. Once the weather cools down, it can be a hassle figuring out how to store them. Today, we explain how to keep your chemicals, cleaning supplies, toys, and inflatables in a storage unit. If you own a pool, you know that you don’t always use all the chemicals you’ve purchased for the season before you have to shut down the pool. So what do you do with all the leftover chemicals until the weather warms up again? Keeping them in a garage or storage shed means you run the risk of them getting damaged by cold weather and moisture. A climate-controlled storage unit can protect the chemicals from the elements so that they’re ready to use when the weather gets warm. Before you move your pool cleaning chemicals to the storage unit, however, make sure that you are permitted to keep those types of items in the space. Not all types of chemicals are allowed to be kept in storage facilities due to their volatility and flammability. If you are allowed to keep your chemicals in your storage unit, we do recommend keeping the chemicals off the ground on the off chance water gets into your unit. Pools need more than just chemicals to stay clean. Vacuums, hoses, brushes, and a number of other accessories are important to keep your pool functioning all summer long. Before you pack those away in your storage unit, be sure everything is dry and clean to prevent mold and mildew growth. 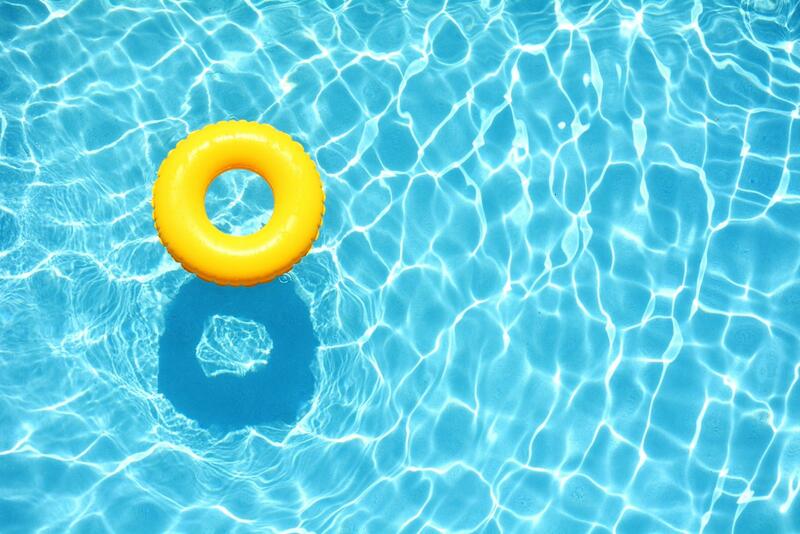 If you own a pool, chances are you also own several types of toys and inflatables to use in the pool! Beds, loungers, volleyball nets, and kids toys can all be a bit cumbersome and awkward to pack away. If you put your toys and inflatables in a storage unit, you want to make sure everything is clean and dry. Take the air out of any inflatables and fold them up to conserve space. Then place your items in storage bins, taking special care to prevent the inflatables from coming into contact with any sharp edges. If you are in the Topeka area and are looking for a quality, climate-controlled storage unit for your pool supplies, come check out Affordable Family Storage! We are located at 240 SE 29th St near Jefferson Square, Highland Crest, and Central Highland Park. Stop by our office with any questions, and reserve your storage unit online!